On Wednesday, February 14, The Town and Country Garden Club of Newtown will present a workshop featuring "The Art and Mechanics of Underwater Floral Design." Underwater floral design focuses on arrangements where some or all plant material and components are submerged in water. Peggy Townsend of Bethel and Debbie Osborne of Newtown are award-winning floral designers who will join together to demystify this new concept that was recently added to the Federated Garden Clubs of Connecticut's (FGCCT) list of design styles. Ms Townsend and Ms Osborne first met in FGCCT Flower Show School, where they formed a friendship that has included taking design classes together and participating in club work and design opportunities. They have since achieved their judging credentials from FGCCT. Together they have conducted many local workshops and demonstrations highlighting their design skills and expertise. 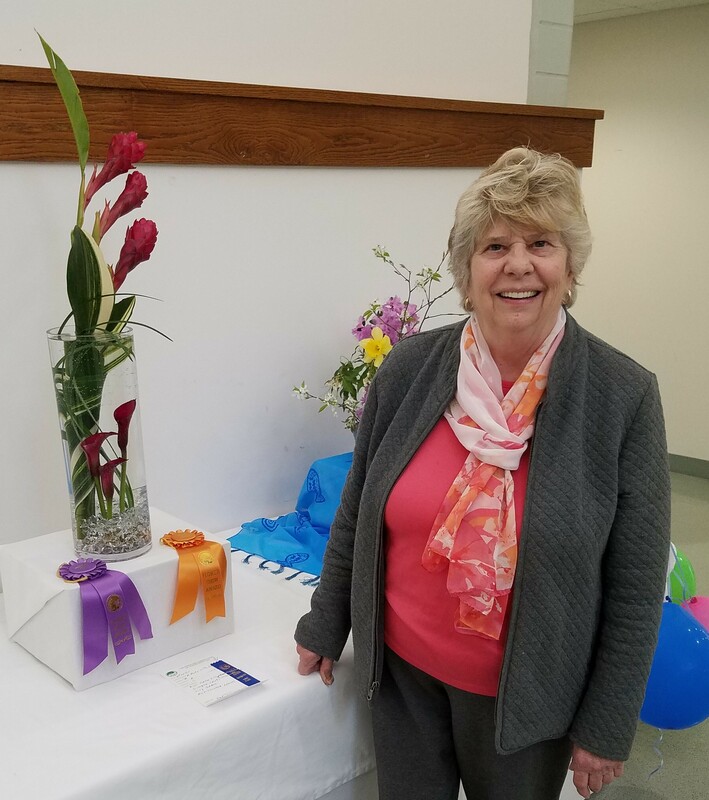 Peggy Townsend is the current president of The Newtown Garden Club and winner of many blue ribbons at flower shows. She grew up in Massachusetts surrounded by woods and flowers. Her dad, a passionate gardener, grew all the annuals and vegetables for their home while her mom exhibited great creativity designing floats for boat parades and other local events. Ms Townsend inherited their passions and skill. Her design career started at age 4, as she would pick neighbor's flowers, bring them home, tear them apart, and create her own "new flowers" by combining and arranging the petals and floating them in Table Talk metal pie pans filled with water. Her passion for flower design increased over the years, as she traveled, attended flower shows, and took classes. She taught creative crafts to children and adults, owned a wholesale business selling wreaths and centerpieces to local garden centers, and designed wedding flowers. Ms Townsend, who is also a member of the Town & Country club, has attended the Beyond Beginnings Workshops sponsored by the FGCCT Judges Council. She is an active participant of the Creative Arrangers of Connecticut summer program. She has won many blue ribbons at flower shows, and is a FGCCT accredited judge. Deb Osborne, a past president of The Garden Club of Newtown, has won numerous awards as well. Her interest in floral arrangements also showed at an early age. "I began arranging flowers when I was a little girl, putting wildflowers in jelly jars," Ms Osborne said. "I experimented with designs at the Hartford Flower Show for three years before I realized that I needed more expertise. "I have taken two sessions of the Beyond Beginnings course offered by the CTFGC, and have joined the creative designers," she added, calling the lessons gleaned from those programs and fellow designers "all great information." Ms Osborne is also a certified flower show judge. The meeting and program will begin at 6:30 pm. It will take place at Newtown Senior Center, 14 Riverside Road in Sandy Hook. Meetings and programs are free and open to the public. Those seeking additional information may e-mail Jan Gardner, membership chairman, at jgardner819@gmail.com.